Exceptional service. Hassle-free planning. Incredible Amenities. We at KCI Expo Center in Kansas City will do our best to accommodate your needs and allow you a worry-free event or meeting. The KCI Expo Center has selected “The Best in the Industry” to serve you. Our exclusive in-house providers of Food and Beverage is Heart of America Catering. 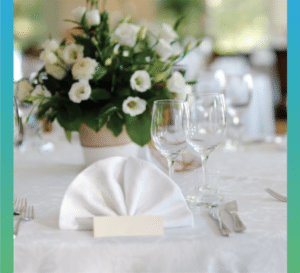 Heart of America catering has been with us since we were built and has provided exceptional food from plated meals, buffets, or boxed lunches for meetings, events, and conventions in Kansas City. Designed to enhance your conference or meeting the Expo Conference Package ensures your guests will be nourished and satisfied. Bottled Fruit Juices, Freshly Brewed Coffee & Decaf, Assorted Hot Teas, Assorted Pastries, and Sliced Seasonal Fresh Fruit. with Italian Herb Pasta Salad, Chips, Grapes and Cookie. Served with Soft Drinks and Iced Tea. Beans, Confetti Rice, Salsa, Lettuce and Tomatoes. Sopaipillas for Dessert. Lemonade and Iced Tea. Green Beans with Bacon and Onions, Honey Glazed Carrots, Biscuits and Dinner Rolls, Garden Salad with two (2) Dressings, Apple Pie w/Brandy Sauce. Served with Lemonade and Iced Tea. Cheesy Corn Casserole, Tasty Corn Muffins, and Apple Cinnamon Crunch Dessert. Iced Tea and Lemondae. Refresh Coffee, Bottled Water and Soft Drinks, Just Baked Chocolate Chip Cookies. We will happily customize any menu to meet your tastes for your next lunch meeting in Kansas City. Green Beans with Bacon and Onions, Honey Glazed Carrots, Biscuits, Garden Salad with two (2) Dressings, Apple Pie w/Brandy Sauce. Lemonade and Iced Tea. Corn Casserole, Tasty Corn Muffins and Apple and Cherry Pie. Lemonade and Iced Tea. Garlic Breadsticks, Assorted Desserts. Lemonade and Iced Tea. Chicken Enchiladas, Refried Beans, Mexican Rice, Lettuce and Tomatoes. Sopaipillas for dessert. Lemonade and Iced Tea. and Condiments, Just baked Cookies with Lemonade and Iced Tea. Served with Fresh Fruit Cup and Pasta Salad. Cheesecake with toppings for Dessert. Lemonade and Iced Tea. and Herb Dinner Roll. Cheesecake with toppings for Dessert. Lemonade and Iced Tea. Served with Wild Rice Pilaf, Fresh Vegetable Medley, House Salad with two (2) Dressings, Herb Dinner Roll. Cheesecake with toppings for Dessert. Lemonade and Iced Tea. Grapes, Potato Chips, and a Freshly Baked Chocolate Chip Cookie. Condiments and utensils included. Lemonade and Iced Tea. A variety of fresh Lettuces, Tomatoes, Cucumbers and Shredded Cheese, Ranch and Honey Mustard Dressings. Fresh Cucumbers and Grape Tomatoes in a delightful marinate. Gemelli Pasta, Red & Green Bell Peppers, Black Olives and Celery in a Herb Dressing. Sautéed Boneless Breast of Chicken topped with Lemon White Wine Sauce. Butter, Assorted Desserts and Coffee, Decaf, and Tea. Our premium beverage selection features: Dewars White Label Scotch, Bombay Gin, Absolute Vodka, Crown Royal and Jim Beam Black Label. 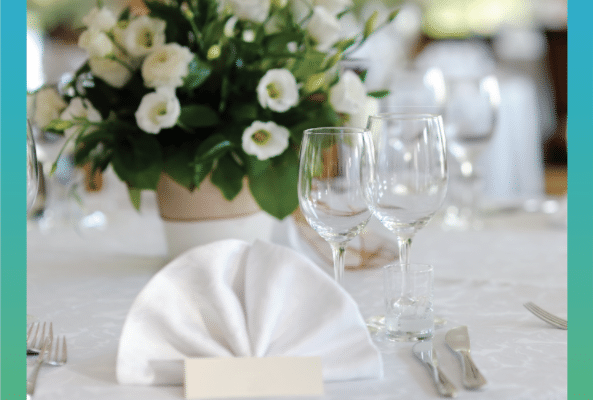 We will happily customize any menu to meet your tastes for your next wedding, convention, conference, or meeting in Kansas City! Fresh Romaine, Shaved Parmesan, Toasted Croutons with Classic Caesar Dressing. With Sesame Orange Spicy Glaze. Choice of Oven Roasted Baby Red Potatoes, Garlic Mashed Potatoes, or Rice Pilaf and Seasonal Vegetables, Dinner Rolls with Butter, Dessert and Coffee, Decaf, and Iced Tea. “ The setup was perfect we didn't hit a snag all day long. ” - Tyler A.